The aim of the study was to investigate if ultrasound probes are reusable medical devices that risk becoming contaminated after a patient examination in Japan. The level of bacterial contamination on transvaginal ultrasound (TVU) probes following current routine probe cleaning at a university hospital (site A) and a clinic (site B) in Japan was investigated. A total of 98.1% of probes were found to be contaminated at site A (median CFU 40, IQR 10, 132.5) and 94.1% were found to be contaminated at site B (median CFU 50, IQR 20, 85). Of the contaminated probes, 52.9% at site A and 64.6% at site B harbored potentially pathogenic bacteria including methicillin-resistant Staphylococcus aureus (MRSA). These findings suggest that there is a high rate of ultrasound probe residual bacterial contamination in Japan. Nanosonics Ltd. (NSW, Australia) provided funding for the microbiological testing as a part of this study. Informed consent was not needed because the samples in this study were taken after routine probe cleaning, not directly from each patient. Medicines and Healthcare Products Regulatory Agency (UK). 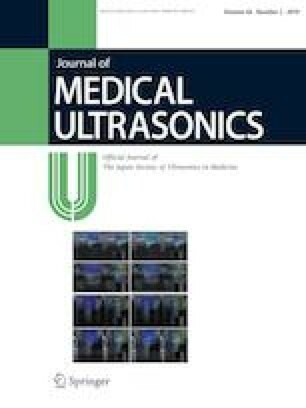 Medical device alert: reusable transoesophageal echocardiography, transvaginal and transrectal ultrasound probes (transducers) (MDA/2012/037). [updated 2012 June 28; cited 2019 January 8]. https://assets.publishing.service.gov.uk/media/5485abf1ed915d4c0d000261/con160567.pdf.